This is going to be brutal! 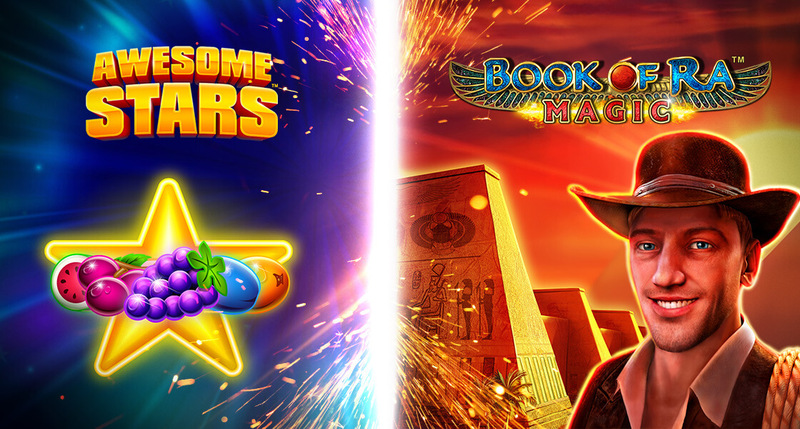 In the red corner: the sparkling Awesome Stars, a slot that offers an jackpot! In the blue corner: Book of Ra Magic, the new, magical addition to the Book of Ra series with expanding symbols in the Free Games! Which slot is your favorite? Vote between November 26th and 28th on Facebook or spin on the app to help crown the winner! It will then be open to play!